How to Standout at Start of Your UX Career? 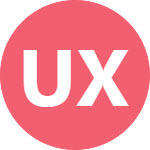 UX Design is a career for you if you have relevant education, you are interested in design thinking, you want to study human’s behaviors, or you love innovation and creativity. There is a huge competition in UX field in industry, and gaining attention in the beginning of your career requires a lot of hard work. Below are few key points that will help you to earn recognition of your design work at very start of your job. Whenever a task is assigned to you, plan it. It is not necessary that someone has asked you to do it, but make it a habit to plan each assignment on your own. To plan properly, it is essential to get clear understanding of the requirement. Divide your assignment into smaller tasks and plan each of them. This will help you to remain organized and focused towards your goal. Provide estimates, if you are asked to do so. Sometimes, you are only informed about deadlines. It is fine. However, don’t forget to raise a red flag if deadline does not seem to be realistic. Getting delayed is not bad, but not putting up the flag at right time is considered to be your mistake. Keep cushion for updates. Design assignments always require reviews and hence multiple iterations. Keep yourself updated. You have a vast world of internet. Go to web and study relevant material. Get inspired by beautiful designs and usable experiences. Find ideas that nurture your design skills. Look for latest trends and follow them. There are many authentic guidelines available on internet for UI controls, interactions and layouts. You don’t have to invent things from scratch. Few examples are Google, Windows and Apple design guidelines. Pick the ones that best match with your requirements and stick to them. The best way to earn respect is to enhance your knowledge and use it. Good designs always take multiple iterations. Perfection cannot be achieved in a single attempt. Try again and again. Stakeholders will review your work. They will ask you for modifications. Sometimes the requirement changes altogether, and your entire work gets discarded, but the experience that you gain in this process will never go wasted. Behind every pixel of design, there is a complete thinking process. And this experience helps you grow in your field. Nothing can help you more than the desire to improve your work. Don’t stop trying until your craving for designing the best is satisfied. You are the one who will decide when to stop, and no one else can tell you that you are done. Always set a level of discontent that help you to feel the urge to grow. If you want to standout in your job, put extra efforts to complete your tasks. Do not limit your thinking. Go beyond the given requirements both in backward and forward directions. Give people pleasant surprises by providing something they are not expecting. Additional efforts can take you anywhere you want to go. Most of the people do not bother going beyond the stories they are told to do. You have to go if you want to be successful. UX design is a subjective thing. People will criticize you and your ideas. They will try to empower you with their opinions. Take their feedback positively. See what can be improved in your work. Never give up if someone is not appreciating your efforts. Just keep on fulfilling your responsibilities efficiently. It is hard to beat a person who never gives up, and you have to be the one. If you have knowledge and your work is based on proper research, you can easily defend your work with strong arguments. Try to present your each point logically. Knowledge brings confidence. Remember you are the only master of your design and no one in the room has done the research as you did. Don’t be afraid of anyone. Your colleagues want to see you successful. They will support you if you are right. The only essential thing is to be prepared. Try hard to meet your deadlines. Do not prolong your tasks. It becomes very obvious and makes a bad impression. If you are done, submit your work. Do not wait for someone to ask you for it. Work on your own deadlines. Be open to new challenges. Demand for further tasks and never sit idle. Above characteristics make you a responsible and reliable team member at your UX career. First impression lasts forever, unless you try to change it, so its better to work hard to earn recognition and respect in the very beginning. And remember that never spoil your positive image by losing these attributes at any time later. Next ›Why You Need UI Guidelines?